It’s easy to say Neo Yokio is a bad show, and not just because plenty of others have taken a number and gotten in line to proclaim so. It’s shabby-looking, goofy, with a thoroughly dumb storyline and characters with all the depth of pie plates. 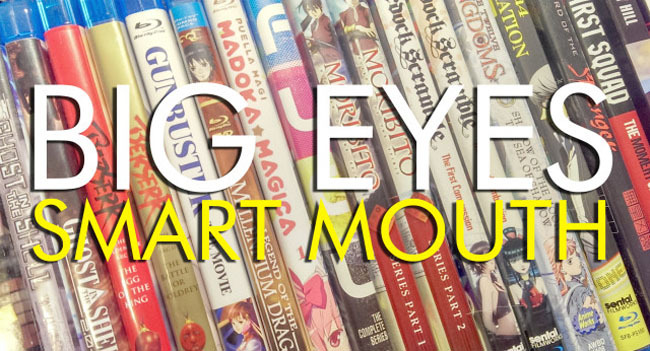 The key is in seeing how all this is entirely deliberate — how the show is a sly, tongue-in-cheek love letter to all the ways anime could be “cheap and weird”, to use a coinage from my associate Lauren Orsini. To that end, anime fans will clue in fastest to how the show is a knowing wink to all the ways the things they love can be both great and idiotic at the same time. That said, there’s no obligation for anyone else to get on board. Not unless they really want to, anyway. It’s all quite obviously a joke, although the joke is only going to be truly funny to those intimately aware of what is being spoofed and how. I am in that number, and once I realized they were kidding this material, I admit to laughing with the show more than I did at it. It wasn’t that hard, what with the show tossing in gags like a character named “Sailor Pellegrino” and Kaz’s friends sporting tuxedo masks in the same episode. One episode is an extended Ranma 1/2 gag reference, where Kaz’s two buddies take a dunk in a pool; one ends up genderswapped and the other turns into a panda. For those with cultural chops hailing from the other side of the Pacific, one episode involves a haunted Damien Hirst sculpture. And the show’s own bizarre crop of homegrown memes (Toblerone!) are fast making the rounds as I write this. Seeing what level of dippiness the creators will sink (rise?) to in the next episode is part of the fun — assuming, that is, that your definition of “fun” includes that kind of thing. The bigger question, I guess, is: Does any of this work outside of a wink-wink, nudge-nudge context, where a self-selecting batch of fandom will slap their knees at the goings-on? Maybe. It’s not good in the way something like In This Corner Of The World is good, that’s for sure. But it’s also not the forgettable, bland, mediocre kind of bad evinced by so many other shows. It has the nerve to be its own thing, even if that thing is intentionally cheap-looking and dippy, even at the risk of the fumes rising from it being a choking hazard. Good thing it’s only six episodes (so far, anyway), as that is really about the longest you’d want to hang around something like this, even on purpose. When anime was relatively new to Western audiences, its inherent oddities stuck out all the more for us because the material couldn’t help it. Anime looked cheap because it was cheap; it didn’t have a choice. Most of it was rushed out on small budgets and tight timelines. As with the live-action Hong Kong and Japanese film industries, its creators made up for such limitations by being ingenious and bizarre. The same kind of spirit is at work here, but far more self-consciously so. That self-consciousness makes me feel divided as to how ultimately effective it all is. Those who know nothing about what’s being zinged are either going to ignore it or appreciate it in the kind of smarmy, ironic way that treats it less like shared popular culture and more like a status-signalling device. But maybe we do popular culture a disservice by trying to take it some of it more seriously than we deserve. For the longest time pop culture was never meant to be anything but cheap and disposable, but we now live in an age where nothing ever really goes out of print and everything has a fandom. 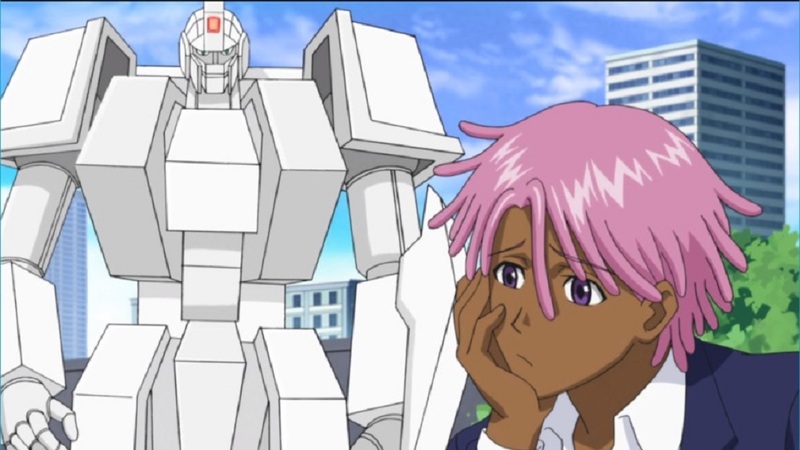 Maybe the biggest function of something like Neo Yokio isn’t only to entertain us, but also to remind us that even our most cherished entertainments can be kinda stupid.